The Bowling Green is located in the centre of the Malone Golf Club estate. Click on the button for a map of the area. Access is by the main drive to the Club House, passing the Main Car Park. Continue in front of the Club House and turn right at the 1st Tee, past the tree with a convex mirror (Note: If there are golfers on the tee please stop and wait behind the tee to give priority to the golfers.) Continue down hill, in front of the tee, to the bowling green car park.When returning from the bowling green look to the left and check if there is anyone ready to play off the tee. The men and ladies play in the NIPGBL, NIWPGBL, IBA and IWBA league, cups and championships, as well as the veteran’s league, cup and championships. 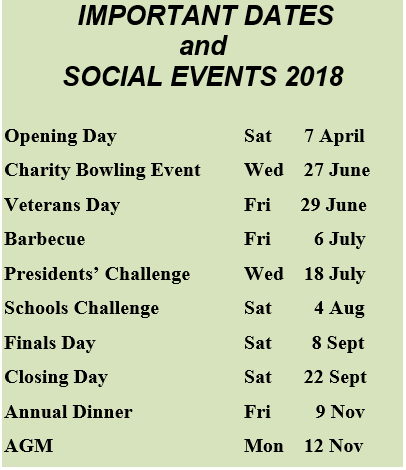 Practice bowling takes place throughout the week, with the men's section being concentrated on Tuesday and Thursday afternoons and evenings, and the ladies' section on Monday and Wednesday afternoons. Club Championships are held each year for men, ladies and veterans in both singles and pairs, open and handicap competitions. Other in club mixed competitions are held for the men and ladies, including tournaments on Opening Day and Closing Day. A match for The Presidents’ Trophy is played between the men and ladies teams.